Terrine is an ideal follow up to Stephane Reynaud wonderful Pork & Sons. With the same unassuming and authentic style he introduces us his favorite recipes for these rustic, traditional dishes. Unencumbered by unnecessary descriptions and sidebars, the book uses a simple layout of a recipe per page with an accompanying photograph. Renaud, a celebrated French chef who comes from a family of butchers has once again chosen dishes that let their ingredients and subtle, rustic presentation shine. Naturally, Terrine features some traditional French favorites such as Foie gras terrine with dried fruit and Armagnac; Veal Terrine with Muscat and a fine Huntsman’s Terrine. But there are some surprises too particularly in the Fish and Vegetable sections that breath new life into this traditional fare such as a Smoked Halibut and Horseradish Terrine; Spring Vegetable Terrine and a summery Terrine of Baby Leeks. He also seduces us with a selection of dessert terrine such as an irresistible All Chocolate Terrine and Cheesecake Terrine. 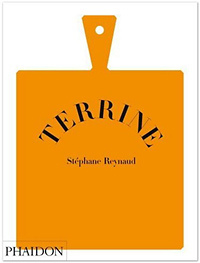 With Terrine, Stephanes Reynaud elevates humble rustic fare of his homeland to new heights. His expertise and authority make this an ideal book for professionals while his use of simple ingredients and straightforward instruction will surely entice those who may have deemed these dishes to be too intimidating and the domain of the pros. Low and behold these traditional, rustic recipes can indeed be easy to make. As with his Pork & Sons book, the photographs and presentation of the finished dishes in Terrine are a standout, somewhat quirky yet still real and authentic. Superb. 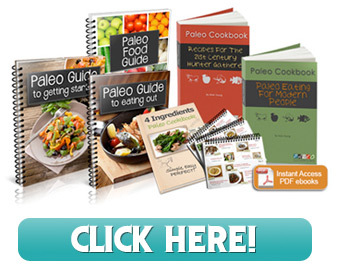 The recipes primarily use real, whole foods and a minimum of processed products. Each recipe has basic nutritional info—calories, protein, carbs, fat, sat fat, cholesterol, fiber and sodium—so you can figure them into any eating plan.